I am so pleased I found citroenazu’s Flickrstream. More 24 hours at Spa gnarliness here. 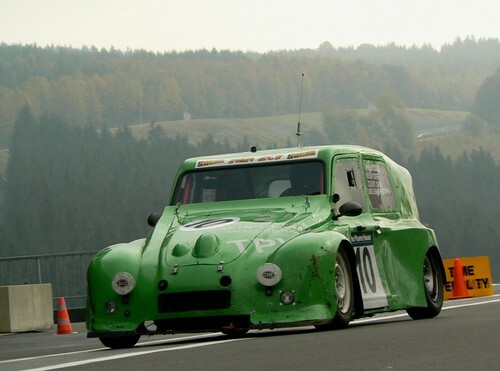 This entry was posted in gearheadism and tagged 2cv by dr.hypercube. Bookmark the permalink. Oh I miss mine – ex Belgian midwife’s with the logos still on. Bought it from a shady dealer in West London who used the cars as an excuse to import dope in the crates of spares. Made the repairs (do it yourself) interesting. And now the 850engine seems so tempting. Saw a bunch of them at the Owl’s Head transportation museum (Downeast) over the weekend. Just as ugly in person as they are in pictures.